If you have a house, then you likely have some trees in your yard. That means you will have to pick up leaves when the fall months roll around. It can be a painful chore sometimes, but not when you have the proper equipment to get the job done. 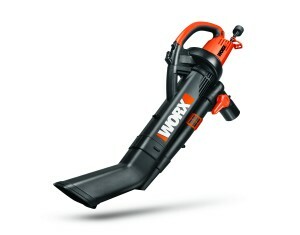 Introducing the WORX WG509 Electric TriVac Blower/Mulcher/Vacuum. This piece of equipment is a must-have if you have a significant amount of leaves that you have to get rid of every year. Whether you want to blow leaves off of a sidewalk or vacuum up the leaves in your entire yard, this single machine will help you do any of them. Arguably the best feature about the WORX WG509 Electric TriVac Blower/Mulcher/Vacuum is that it can be switched from a blower to a vacuum in a matter of seconds. In fact, it is one of the very few blower/vacuum/mulcher machines available that can convert to one another without any special tools required. A handy mulching bag is included with the purchase. The leaves you vacuum can be mulched finely so that you can use them for compost or easily discard them without taking up a lot of space. It is lightweight and is powerful enough to allow you to work for an extended amount of time without experiencing back pain or other pains. It is also extremely quiet when compared to gasoline and some other electric models. An operating volume of 71 decibels is quiet enough where you shouldn’t be bothering your neighbors too much and there shouldn’t be any issues if you have noise regulations in your area. People have stated that the metal impeller is great for mulching leaves, but it’s not good if you vacuum up twigs or small sticks. It tends to jam the motor, causing you to have to find the twig and remove it to continue working. While this TriVac blower is powerful for an electric version, it still isn’t as powerful as most gasoline models. As a result, the leaves have to be dry in order to blow/vacuum/mulch them. Other people have stated that the machine is a little awkward and could almost use another handle to hold for convenience. It can get heavy after an extended amount of time being used, so the additional handle would help take some strain off of the body. You’ve got the details, now you need to know whether the WORX WG509 Electric TriVac Blower/Mulcher/Vacuum is right for you. The answer is fairly simple. If you have a yard that produces a lot of falling leaves every year, then it’s the right product for you. If you are constantly filling up countless bags of leaves to the point where it takes up your entire weekend or multiple evenings to rake and bag them, then let this WORX machine take a lot of the work away from you. There aren’t many products like this one on the market, and for a price around $120, it will almost seem like a steal once you use it a couple times. This multi-purpose machine is perfect for anyone who uses a rake or broom consistently to dispose of leaves or debris. The WORX brand has only been around since 2004, but it is quickly becoming a reputable name. 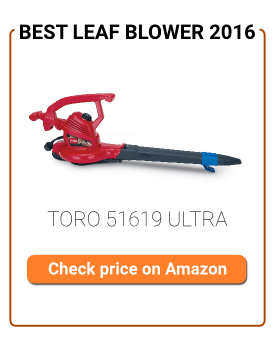 They primarily manufacture lawn and garden tools like blowers, mowers, trimmers and chainsaws. In just a little over ten years, you can now find this product in most major retailers that sell lawn and garden equipment. The WORX brand is dedicated to quality and offers at least the industry standard in warranty for all of their products. The majority of their products are manufactured in China, even though their headquarters is in the United States.